The first time I had Salade Nicoise was actually this time of year at a seaside café in Nice, France. It was many years ago and the kids played in front of us on the sand while Howard and I had a chilled glass of rosé. Bliss. 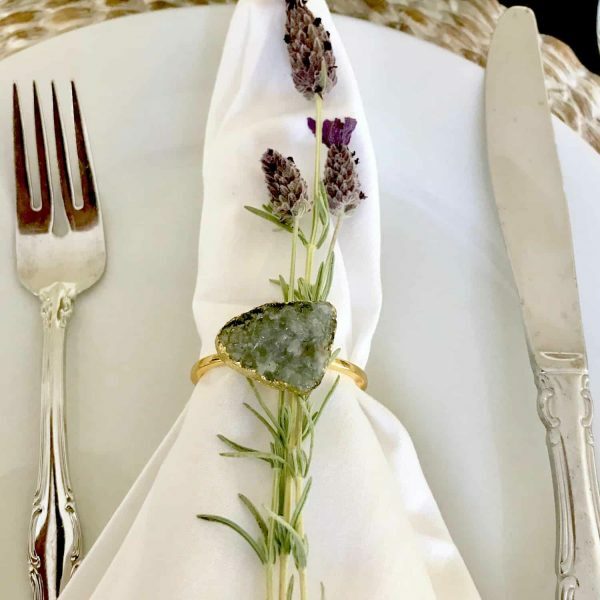 You may have read of our recent trip to Provence. So this salad from Nice was top of mind. I’ve made it lots of times over the years in Summertime. 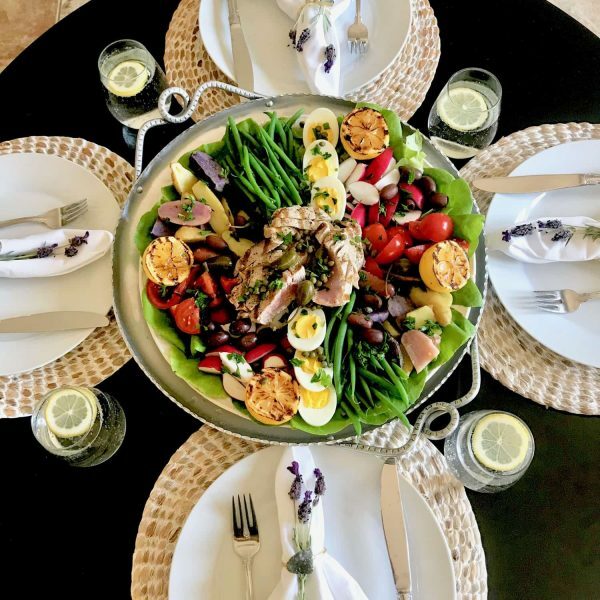 This is our latest Project Design, where Cindy Hattersley, Annie Diamond and I are happy to have two others join us with their delicious summer salads. Elizabeth from Pinecones and Acorns (I’ve followed her beautiful site for years) and Sue from The View From Great Island (is a renowned international food blogger). Be sure to follow their links at the end of the post. This salad is good for a small group of friends as you can make most of it in advance and then enjoy their company. First, make the salad dressing…I like it on all sorts of salads, too. Serves Four as the main course. 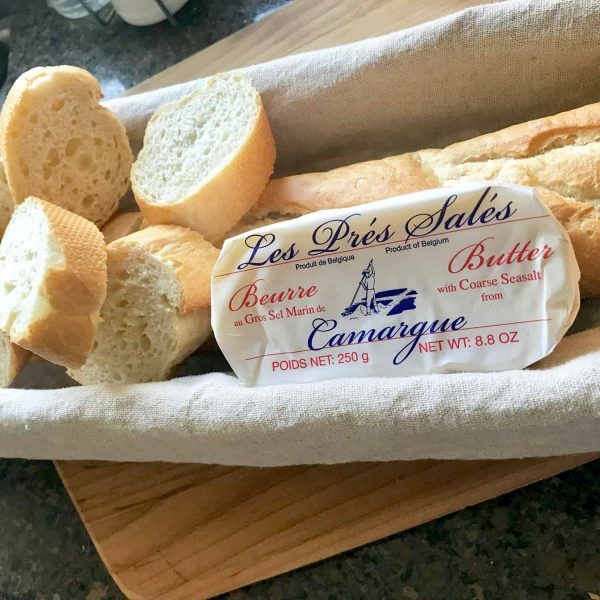 Have you had this butter (Amazon)? It’s amazing! I think Howard got it at Whole Foods. Pre-heat your grill or stovetop grill pan on high. Rub olive oil on the fish and lemons. Grill lemons cut side down. 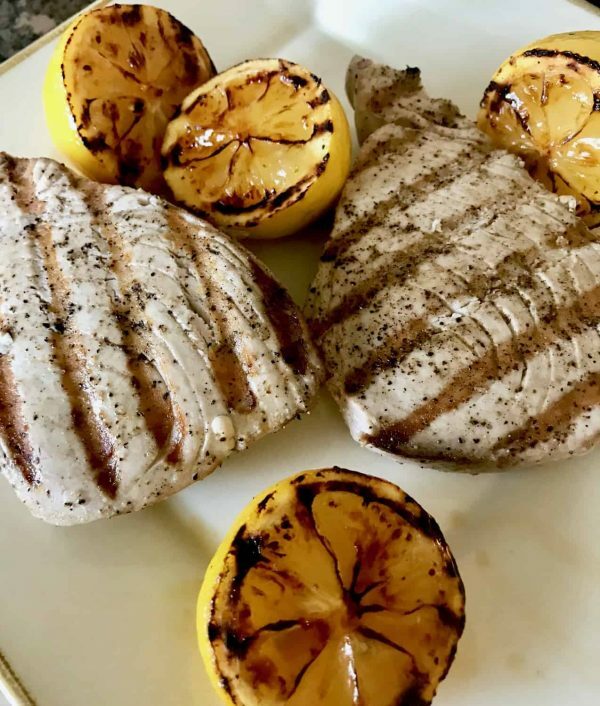 Grill the tuna on each side for three minutes or less…you still want it rare or pink in the middle. 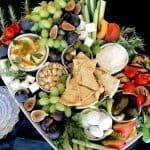 Remove from heat and let sit while you assemble the salad platter or bowl (it will still keep cooking). Line the platter with lettuce leaves. Slice the tuna. 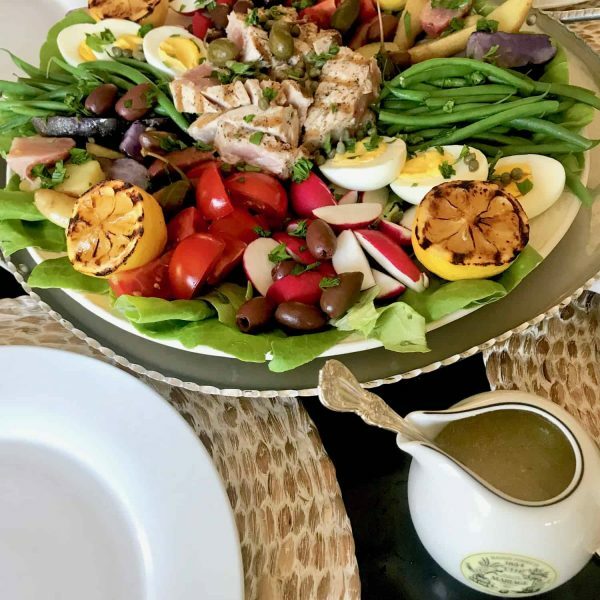 Since this is for four, I like to put the ingredients on both sides of the platter with the tuna topped with capers in the middle. Sprinkle with the chopped parsley. 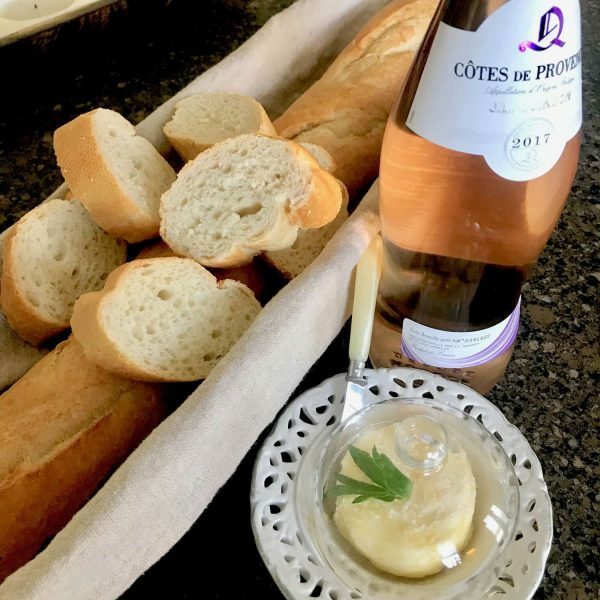 Serve with French bread, sparkling water, and Rosé! Everyone helps themselves with the lemon vinaigrette on the side in a little pitcher. 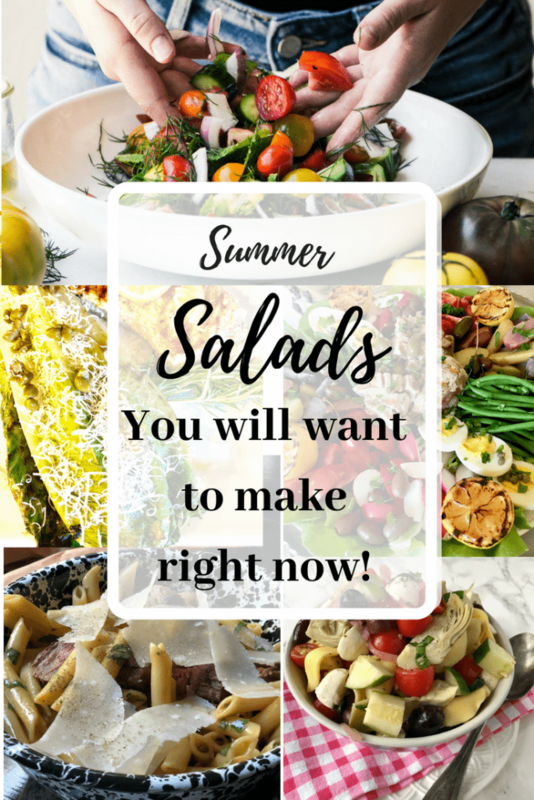 Please check out these ladies’ delicious summer salad recipes!! Oh my, that’s a buffet dinner displayed on one plate! Looks delicious. Salads are so wonderful and nutritious for summer meals. 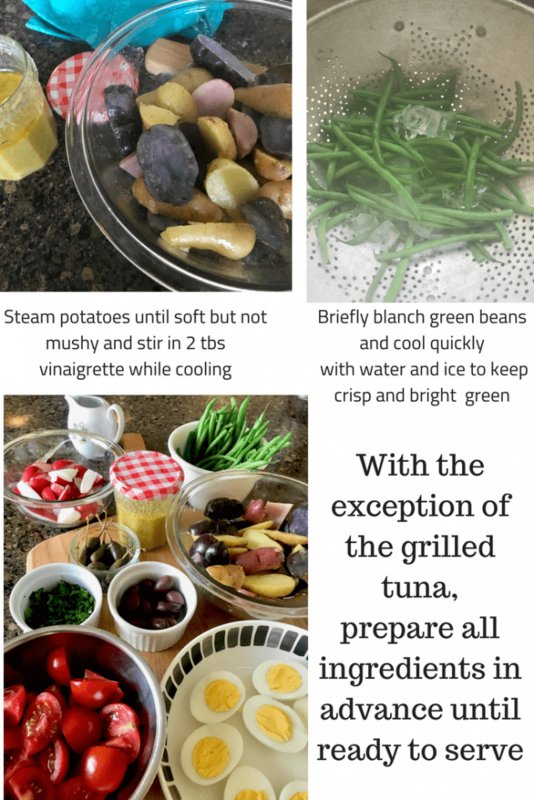 I have always made Ina Garten’s version of this but I love the addition of the grilled lemons! I am going to give this one a try on our next trip to the lake! This was such a pretty post! You made everything look so inviting!! Ha! I wish I was back in Provence! Can’t wait to make your salad, Sue! This salad looks delicious! Although I do not eat seafood I am sure it will be just as good without the tuna. 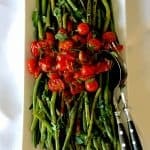 Thank you for including me in this wonderful group of bloggers to share a salad! I cannot wait to try them all. This is gorgeous! I often make chopped salads, but a composed salad, French style, is such a nice switch–you get each ingredient separately. One way to deal with anchovies is to mash anchovy filets or paste into the dressing. You get the umami (mixed with everything, it’s just salty and deep, not fishy) without teeny fish heads. It’s also nice because it’s cool and filling at the same time. 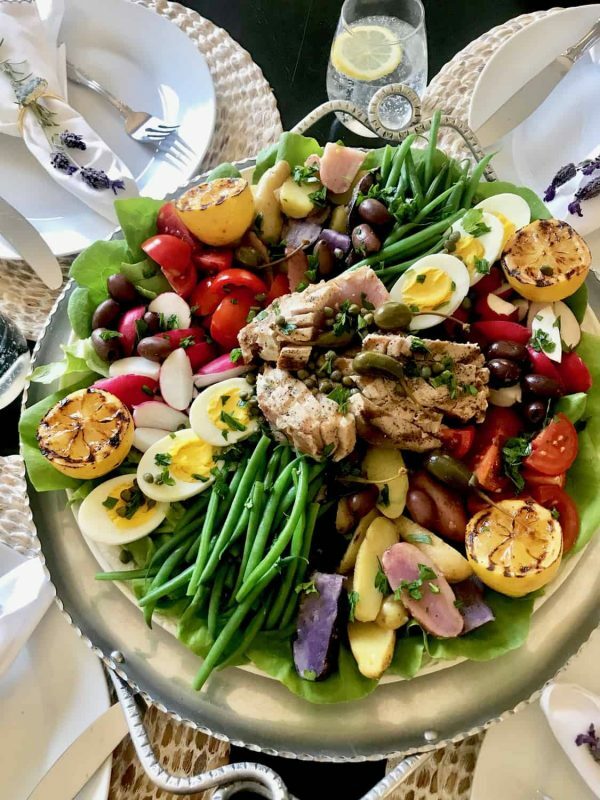 Have always loved Salade Nicoise and yours makes my mouth water. Having small girls luncheon next week and this will be perfect. It’s so pretty and screams summer! Now I’m going to check out the other recipes in hopes of finding more deliciousness to add to my recipe file! 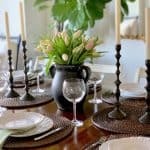 I have eaten in restaurants but have NEVER made at HOME! Perfect for these HOT DAYS of SUMMER………….MERCI MADAME!!!!! 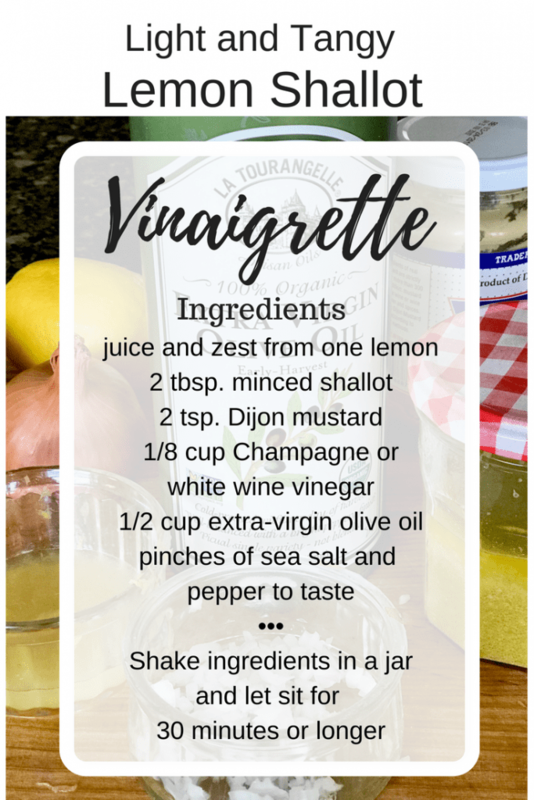 The Lemon Shallot Vinaigrette is absolutely divine! I plan to make the salad, too, once I figure out how NOT to finish off the vinaigrette in one long gulp! Thanks so much, Judie…I love it too.